If we've heard it once, we've heard it a thousand times. Collaboration is key. Sometimes that is easier said then done. When skills and roles overlap in a school, sometimes related service staff have difficulty finding where we fit in! Literacy is one of those 'overlap' areas for speech language pathologists. If you've been checking in at all lately over at Speech Room News you might already know I'm working part time at a clinic again this summer. We've been having all kinds of fun working on early literacy skills with clients with a range of disorders including Down syndrome, language impairment, and Autism. We've been camping, playing and of course READING in our literacy speech camp. 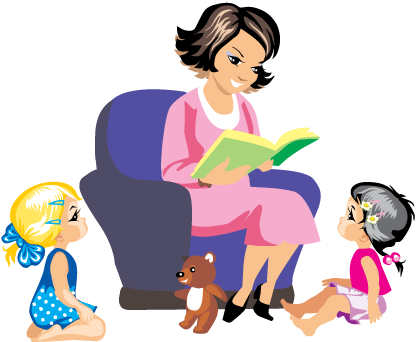 Elementary children who are poor readers often have a history of language delay or difficulty acquiring phonological awareness skills. We're spending all summer beefing up those early literacy skills in an effort to increase success with reading when school starts again in the fall. 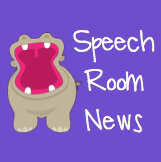 Now, a summer speech program focused on literacy is an EASY way to include literacy into our scope of practice. Unfortunately with caseloads well over the ASHA recommended 50, incorporating literacy into our time in a school based setting can be really difficult. Today I wanted to share some ways that I address my school based speech and language intervention using a literacy frame of mind. 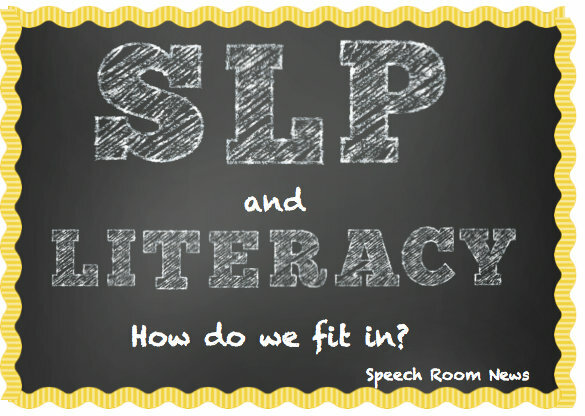 Literacy has always been a big part of my personal SLP experience. At Ohio State, I completed my degree with an emphasis in literacy and instructional leadership. While I was there I spent a full year in a school district working in a RtI reading program and training parent volunteers to complete RtI literacy instruction. During that time, I won the Council of Academic Programs in Communication Sciences and Disorders award for Future Leaders in School Based Speech Language Pathology for my active role in literacy. Based on my experiences, Literacy and Speech Language Pathology go hand in hand. I realize many if not MOST of the practicing SLPs haven't had the same direct experiences teaching reading. So how DO we fit in to the literacy puzzle? Why should SLPs be involved in literacy development? It's obvious that speaking, reading and writing functions are all connected. A physical therapist wouldn't work on muscles it the wrist without considering the implications for the fingers. Why would be work on spoken language without regard to the implications for reading/writing. So if 50% of poor readers have an early history of spoken-language disorders there is no doubt SLPs to get involved with literacy prevention and identification. OK, so that all sounds good but how the heck aM I supposed to support literacy skills when I have so many children on my caseload? Believe me, I am in the same overcrowded boat with you. This is one of those Work Smarter, Not Harder moments. Here's how I'm including literacy in my day-to-day. Goals should be written that support direct reading instruction. Foundational language skills such as answering WH questions, identifying main ideas, making inferences are all skills that relate directly to reading. We often work on these goals but don't explain to teachers, intervention specialists and parents the direct connection to literacy. Write aligned goals with the intervention specialist that develop a skill in one domain (ie: spoken language) that is then transferred to another domain (ie: writing). For example, the SLP might write a goal to use correct pronouns in spoken sentences, while the intervention specialists creates a similar goal for pronouns in written form. The SLP might be working on making inferences in real life examples or social situations, while the intervention specialists has a goal to make an inference based on the story for comprehension. When goals are aligned for speaking/reading/writing, use the same language for instruction. In the example above about inferencing, each different instructor could use the same definition and symbol to represent making an inference. 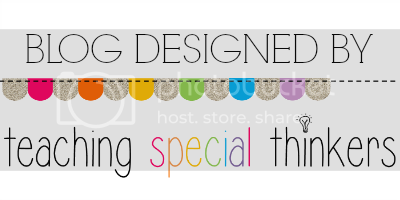 Make a visual and share it with your team. Be involved in full initial evaluations and Response to Intervention Meetings. Speak up when you suspect a language disability might be impacting literacy skills. Advocate for full evaluations when necessary. Identify at-risk students. 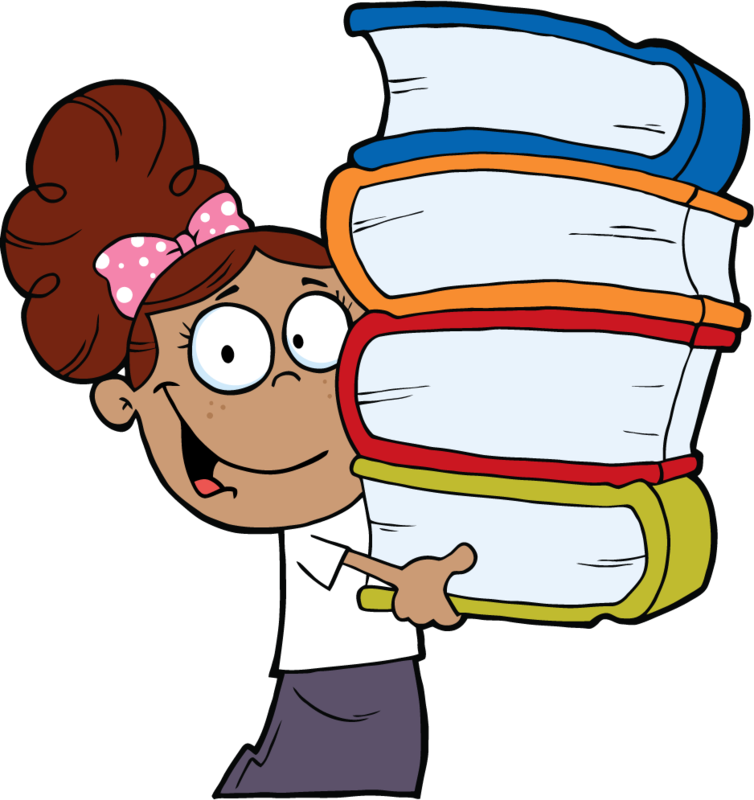 When you speak to teachers, especially in the primary grades (k/1) let them know the statistics about speech/language disorders often leading to difficulty with reading. Set up a plan to monitor a 'speech only' student closely from the beginning of the year. If you're completing a speech only initial assessment, include some basic phonological awareness skills to determine if an academic assessment is also warranted. Bring a different perspective to the discussion table. Teachers, psychologist and SLPs will bring different knowledge about reading to the table. Use your knowledge of syntax, morphology and semantics to to identify intervention strategies. Educate parents. I often have those really happy transition to Kindergarten evaluation meetings where the child has met all the goals and will attend Kindergarten without an IEP. While you're celebrating success and exiting the child from services, don't forget to mention to parents that they will need to keep a close watch on literacy skills in the primary grades. Give them explicit skills to look for and remind them to monitor development closely. Embed literacy into all areas of treatment. Find out your student's reading level and borrow books from the book room to use in treatment. Grab the second grade sight word list and choose articulation words accordingly. Work on pragmatics using a reader's theater play. All of these examples don't require extra instruction, but instead embed literacy into activities already being completed. Students with speech and language impairments are at high risk for literacy difficulties. How do you find practical ways to prevent, identify or treat literacy? American Speech-Language-Hearing Association. (2001). Roles and responsibilities of speech-language pathologists with respect to reading and writing in children and adolescents [Guidelines]. Available from www.asha.org/policy. Spracher, M. M. (2000, April 25). Learning About Literacy: SLPs Play Key Role in Reading, Writing.The ASHA Leader.